Taken from the amazing ‘Little Pianist’ album from Bocca Grande, we are pleased to presents the new single‘Even If’ ! Emotional and passioned house music that come straight from the heart ! A piano theme that has classic written all over it, and a combination of many elemental rhythms, raw energy and elastic realities created for the living room of existence. Innovative without forgetting the roots, beautiful timeless music ! 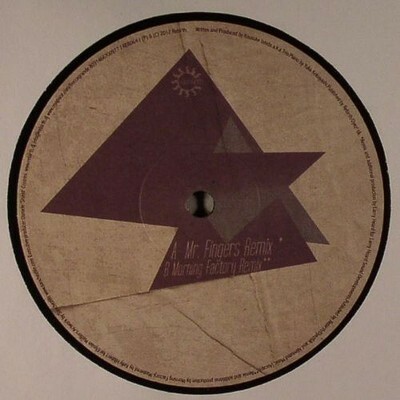 Remixes come from the one and only Larry Heard Aka Mr Fingers and Morning Factory. Larry, assisted by Bernard Badie, delivers his distinctive irresistible groove and classic Chicago vibe.Netherland duo Morning Factory follow their productions on 2020 Vision and Royal Oak, with a great remix, editing the main parts of the original and adding their distinctive beats. Electronic music as an art and foundation of life rather than just something you download for free.